You’ve decided to set up your own website. But how should you go about it? Is it really something you can do by yourself? In this series of posts, John Espirian shows you that setting up a website is easier than you might think. Colleagues of mine in the Society for Editors and Proofreaders often discuss how best to go about setting up a website. Having been asked to talk about this subject at the SfEP’s 25th annual conference, I thought it would be useful to set out my thoughts here. 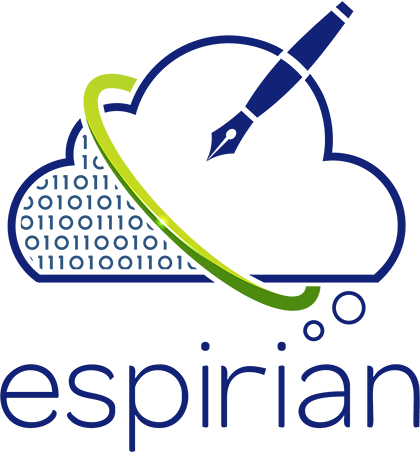 This is the first post on my new blog, and it coincides with the rebranding of espirian.co.uk. I hope you find the content useful. Please leave a comment and share your thoughts. What will be the purpose of your site? How much time can you spend on your site? How much money are you willing to spend on your site? Let’s look at each of these points. Think about what you’d like to achieve. Is a website even necessary for you? Do you just want the equivalent of an online business card? If so, why not try a free service such as About.me? Do you want something more substantial that really showcases your work? Do you want to run your own blog, sell products or do anything that goes beyond the basics of a simple website? Having your requirements in mind will help when it comes to deciding which website platform is best for you. Set out a plan and be mindful of your purpose. Setting up a website can take a long time, especially if you opt for the ‘I want to do everything from scratch’ approach. Website-building services offer easy-to-use tools to help you create your own little corner of the web – and this approach is much quicker than doing things from scratch. For most people reading this blog, I’d recommend using one of the many website-building services on the web. But which one? I cover some examples in the remaining posts in this series. You can find the links at the end of this post. Don’t forget that setting up a website is one thing: keeping it updated with fresh, relevant content is quite another. All of this takes time and effort. Use website-building services to save yourself time. If you’ve got a large project in mind or happen to have a generous budget to spare, you could employ a design agency to create a site for you. But custom-made, professional websites can cost thousands of pounds, and that’s simply beyond most people’s means and needs. Thankfully, websites needn’t be expensive: it’s possible to create an attractive, simple website yourself for under £100 per year. If you’re not precious about having a custom domain name – more about that in a moment – then setting up a website could cost you absolutely nothing. It costs very little to set up a good website. What is your visual message? How will you write about yourself? Let’s think a bit more about each of these points. How you present yourself visually can be crucial when it comes to getting people’s attention. This is as true online as it is in the real world. Do you have a logo to represent your business? Which typefaces and images would you like to use? What general theme would you like to get across to your audience? Create a distinct visual identity for you and your business. Attractive visuals may grab people’s attention, but you’ll have to provide some substance in order to generate any real interest. As the saying goes, ‘content is king’. Think about how best to tell the world about you and your business. What is it about you and whatever you’re offering that would want to make a website visitor get in touch with you? What sort of tone do you want to use in your wording? Do you know a reliable person who could edit or proofread your writing before it’s published? Don’t rely on your spellchecker. Make your Unique Selling Point (USP) crystal clear. Even if you come up with some killer copy, you should supplement your writing with positive comments made about you by colleagues and clients. These testimonials can go a long way to showing the world that you know your stuff. Nothing will beat a convincing word-of-mouth recommendation between trusted friends, but you’ll help yourself no end by displaying the best of what others have had to say about you. From my own experience, I know that my testimonials have gone some way towards securing me new work. There’s no reason why this shouldn’t be true for you, too. Remember not to be afraid to ask colleagues and clients for feedback. Use testimonials to give you credibility. This is the part where people feel as though they’re drifting into the unknown. They feel a bit scared and unsure of themselves. What’s all this jargon? A domain name is a name used to reach a website. To publish your own website, you’ll need a domain name. The good news is that you won’t need to pay for a domain name until you’re good and ready. If you use a website-building service, you’ll be able to claim a free ‘subdomain’. A subdomain is a name used to access part or all of a website. When it comes to registering your own domain name – remember that you won’t have to do this straightaway – I’d recommend opting for one ending in .co.uk (if you’re in the UK) or .com. Expect to pay around £10 per year if you register a domain as an individual item from a domain registrar. The web is full of domain registrars. Here’s one that’s well regarded in the UK: www.123-reg.co.uk. The registration process becomes easier if you use a website-building service. Such service providers will allow you to register a domain name with them, usually as part of a ‘pro’ package that gives you enhanced features. Costs are pretty competitive and I’d say this was the best option for anyone setting up a website for the first time. Don’t be in a rush to register a domain name. Let’s quickly summarise some of the benefits of setting up a website by using a website-building service. Let’s expand upon that a little. Without any sense of exaggeration, it’s possible to set up the framework of a website in under 10 minutes. I provide some step-by-step examples of this in the next posts in this series. With ready-made themes on offer with all such services, the results should look appealing – even on mobiles and tablets. It’s very quick to set up the basics. Most website-building services will cost you less than £100 per year. It won’t cost anything at all to experiment with most website-building services. Getting started can cost nothing. Were you planning to ask a friend or family member to create a site for you? It would be far better to have a system that you could control. This way, you could amend your content at a time and at a pace that suits you. Opting for the DIY-made-easy approach could save you a lot of money, too: web developers don’t come cheap. Take charge of your own website updates. If you do any sort of web-related work, learning a CMS – the screens we deal with when building a site this way – could be very useful. You might even be able to offer these skills to clients who need help with their own websites. Learn skills that could help with your own work. It’s only fair to point out that there are some drawbacks to using website-building services, though it seems clear that these are outweighed by the benefits set out above. And here’s a bit more about these issues. You’ll come across a wide variety of ready-made themes when it comes to setting up your website, but you might find that some of these give the impression that your site has been made in cookie-cutter fashion. You can reduce the chances of giving off this impression by steering clear of the most popular themes. Beware: sites can look as though they were made with a template. Most website-building services won’t give you complete freedom over the way your website looks and acts. This isn’t a problem in most cases but you should at least be aware that not everything can be tweaked or adjusted. Some features can’t be changed. If you ever found yourself wanting to move your content from one provider to another, you might have difficulty getting all your files out of the existing system and then into the new system. Moving away could be difficult. If your chosen provider increases its prices or simply doesn’t perform as well as you’d hoped, you may have some difficulty making the switch to another provider. The service may not always be perfect. Here’s a quick summary of what you can expect when setting up a website with WordPress. It’s free to register via wordpress.com. You’ll get a free subdomain in the form yourname.wordpress.com. You can pay for a better domain name when you’re ready. You can set up a standard (‘static’) website instead of a blog. Not all of the visual themes are free but many are. It’s easy to add images and contact forms. I’ve found WordPress to be an excellent Content Management System (CMS) and wouldn’t hesitate to recommend it to anyone interested in setting up their own website. I’m particularly impressed by the user interface for writing and editing content. WordPress is no longer a platform just for blogging, and it’s no surprise to me that it now powers more than 80% of all websites. It’s free to get your own site with WordPress, so why not give it a whirl? Here’s a quick summary of what you can expect when setting up a website with Squarespace. You’ll get a free 14-day trial by visiting squarespace.com. You’ll get a subdomain in the form yourname.squarespace.com. To continue beyond the trial period, you’ll have to pay £8 per month (price checked in September 2014). Paid accounts include a custom domain name at no extra cost. Squarespace is a good option for anyone looking to get started with a professional-looking website. I got the impression that the available visual themes were best suited to artists and photographers. The user interface isn’t quite as easy to use as those found in WordPress and Weebly, but it doesn’t take much effort to get up and running. It’s free to try Squarespace for 14 days. Here’s a quick summary of what you can expect when setting up a website with Weebly. It’s free to register via weebly.com. You’ll get a free subdomain in the form yourname.weebly.com. The drag-and-drop interface is perfect for beginners. I’ve found Weebly to be the easiest website-building service I’ve ever used, and wouldn’t hesitate to recommend it to anyone interested in setting up their own website. The drag-and-drop interface is extremely intuitive, making Weebly the ideal choice for technophobes. It’s free to get your own site with Weebly and it’s a good fit if you want to avoid viewing code. You need an online space to call your own. That’s your website. If you don’t have one, get one. It’s quick to get up and running, and you can start for free. What are you waiting for?